There is no small tournament, there is no more small tournament. While the Olympic qualifications for Tokyo 2020 are in full swing and less than two weeks after the Abu Dhabi Grand Slam, the IJF World Judo Tour, this time, is stopping in Tashkent, Uzbekistan, during the weekend of 9-11 November. A few days before the start of the competition, the President of the Uzbekistan Judo Federation, Armen Bagdasarov, also IJF Sport Director, highlighted the will of his federation to organize a major event: "It is a great honour for the Judo Federation of Uzbekistan to organize the sixth edition of the IJF Grand Prix in Tashkent. Tashkent has been a great part of the IJF World Judo Tour and I believe that the best athletes from all around the globe will get together this year to compete for Olympic qualification points. Our federation is looking forward to seeing all of you in Tashkent and will do its best to organise a memorable stay for all the participants." 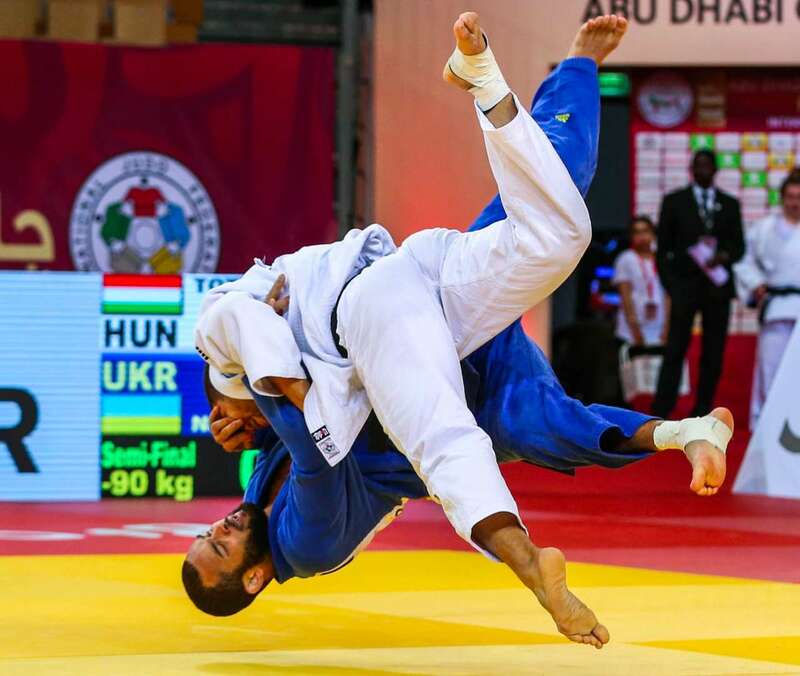 While IJF President Marius L. Vizer said: "The IJF World Judo Tour has become a highlight on Uzbekistan’s sporting calendar and the passion and enthusiasm of the local fans makes this Grand Prix a riveting attraction." 48 delegations have registered to go to the 'Stone Citadel' (etymology of Tashkent), which has hosted the event for many years and, in addition to the host country, which has a plethoric delegation of 56 athletes (28 women and 28 men), several delegations have, obviously, chose this Grand Prix as an important test and especially as the rendezvous to collect valuable points in the race for qualification for the 2020 Games. Germany will be present with 20 competitors, neighboring Kazakstan with 21 and Russia with 25, not to mention the many countries that will present more than ten athletes, which promises a very high level competition to be absolutely followed. For women, in -48kg, one will have a look for example at the world number 1 and recent winner of the Abu Dhabi Grand Slam, MUNKHBAT Urantsetseg (MGL) who could continue her positive momentum in Uzbekistan. She may find in the final her former compatriot GALBADRAKH Otgontsetseg (KAZ). In -52kg, it will not be a return, but it could be a confirmation, since the Olympic champion, Majlinda Kelmendi (KOS) will be present, as in Abu Dhabi, where she had to withdraw in the final due to a minor injury. In the -57kg category, another Kosovan, Nora GJAKOVA, could once again grab the headlines like two weeks ago in the United Arab Emirates, where she won with flying colors, while in the other women's categories, the games are more open. On the men's side, there are no big favorites in the lightweight categories, which promises open matches and a lot of suspense, even if the Mongol DASHDAVAA Amartuvshin in -60kg, Baruch SHMAILOV (ISR) in -66kg, Tommy MACIAS (SWE) in -73kg or the Russian Aslan LAPPINAGOV in -81kg have a good chance of being on the podium. The third in the world, TOTH Krisztian (HUN) and former world champion Nemanja MAJDOV (SRB) have the best chances in -90kg, while another Hungarian, CIRJENICS Miklos, could reap the laurels in - 100kg, if we refer to the world ranking. But nothing is less certain. Finally, in heavyweights, why not Stephan HEGYI (AUT) or Iurii KRAKOVETSKII (KGZ) to win? We will know more on Sunday evening when the lights go on to mark the start of the Grand Prix at the 'Uzbekistan Sports Centre.